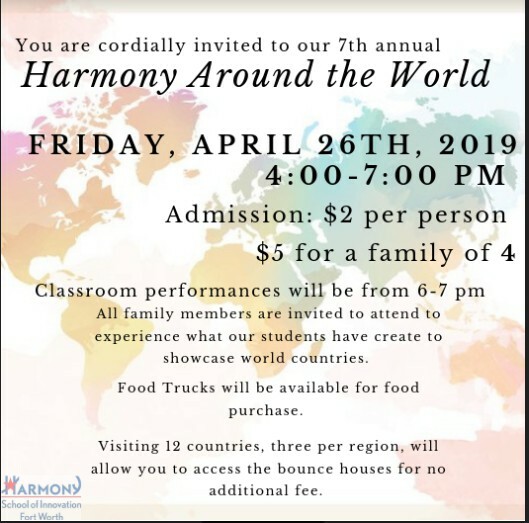 https://harmonypublicschools.network/hsifortworth-new/wp-content/uploads/sites/96/2019/04/Harmony-Around-the-World.jpg 523 529 aarikan https://harmonypublicschools.network/hsifortworth-new/wp-content/uploads/sites/96/2019/02/logo-hsi-fortworth-white-1.png aarikan2019-04-24 14:50:472019-04-24 14:49:35Harmony Around the World! Congratulations to our competitors in the District Harmony’s Got Talent Show last Thursday! HSI Fort Worth dominated the high school competition with M. Risher winning FIRST placeoverall and the YoYoing Team Lin placing third overall! We are so proud to have such wonderfully talented students! https://harmonypublicschools.network/hsifortworth-new/wp-content/uploads/sites/96/2019/04/Talent-e1555524433443.jpg 212 212 aarikan https://harmonypublicschools.network/hsifortworth-new/wp-content/uploads/sites/96/2019/02/logo-hsi-fortworth-white-1.png aarikan2019-04-24 14:50:412019-04-24 14:48:57Congratulations! There will be STAAR Pep Rallies next week. Middle school students may wear jeans and HSI Spirit Shirts Tuesday, April 30th and high school students may do the same on Thursday, May 2nd. The purpose of these pep rallies is to invigorate and motivate students and staff to do their absolute best for the final stretch of the testing season and the end of school itself. https://harmonypublicschools.network/hsifortworth-new/wp-content/uploads/sites/96/2019/04/PerRap.png 341 341 aarikan https://harmonypublicschools.network/hsifortworth-new/wp-content/uploads/sites/96/2019/02/logo-hsi-fortworth-white-1.png aarikan2019-04-24 14:47:052019-04-24 14:47:05Pep Rallies Next Week! Book Fair is this Week! Our Scholastic Book Fair has transformed the Library into our very own book store. There are hundreds of books from new and favorite authors, popular series, cool posters and school supplies, and fun for everyone! The Scholastic Book Fair will be here until April 26th and everyone is invited! https://harmonypublicschools.network/hsifortworth-new/wp-content/uploads/sites/96/2019/04/Book-Fair.jpg 334 336 aarikan https://harmonypublicschools.network/hsifortworth-new/wp-content/uploads/sites/96/2019/02/logo-hsi-fortworth-white-1.png aarikan2019-04-24 14:42:492019-04-24 14:42:49Book Fair is this Week! Honor Organizations will have their induction ceremony on Wednesday, May 1st at 6:00pm. Inductees will be notified in the next few days if their acceptance and further details later this week. Spring Portraits have been rescheduled to May 20th. Only the students who pay in advance for their portraits AND have a signed permission slip by Thursday, May 16th will be permitted to free dress for their portraits the following Monday. Anyone who did not turn in said permission slip WILL NOT be allowed to free dress. Families will be contacted over the summer when your portraits arrive to the school. https://harmonypublicschools.network/hsifortworth-new/wp-content/uploads/sites/96/2019/03/Spring-Picture-Day-Cancelled.png 405 447 aarikan https://harmonypublicschools.network/hsifortworth-new/wp-content/uploads/sites/96/2019/02/logo-hsi-fortworth-white-1.png aarikan2019-04-24 14:22:062019-04-24 14:22:06School Portraits! The Athletic Department needs your new or slightly used exercise equipment. If you have a weight bench or free weights that are taking up valuable space in your home, the Athletic Department will take them. If you have a treadmill that has become a clothes rack, the Athletic Department will take it. If you have a stationary bike or an elliptical that is gathering more dust than miles, the Athletic Department will take it. Any donation of equipment will be looked upon by all those that will utilize it highly. Our athletes will be greatly appreciative of any equipment your kind generosity can give. 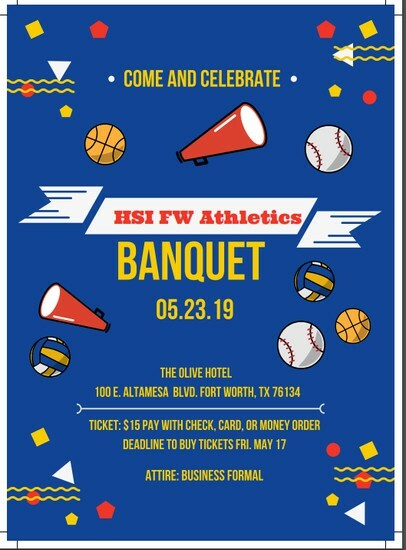 https://harmonypublicschools.network/hsifortworth-new/wp-content/uploads/sites/96/2019/03/Athletic-Donations-Needed.png 375 374 aarikan https://harmonypublicschools.network/hsifortworth-new/wp-content/uploads/sites/96/2019/02/logo-hsi-fortworth-white-1.png aarikan2019-04-24 14:20:252019-04-24 14:20:27Athletic Donations Needed! Colds are the most contagious during the first 48 hours. A child who has a fever should remain at home until “fever free” for a minimum of 24 hours. A child who has started antibiotics needs to be on the medication for 48 hours before considered non-contagious and able to return to school. Often when a child awakens with vague complaints (the way colds and flu begin) it is wise to observe your child at home for an hour or two before deciding whether or not to bring to school. Your child should be physically able to participate in all school activities on return to school. Keeping a sick child at home will minimize the spread of infections and viruses in the classroom. Due to inclement weather, all after school activities have been canceled Wednesday, April 17th. Students will be dismissed at their regular dismissal times. In addition, after school clubs are canceled for Thursday, April 18th , so that teachers can meet with their departments. District Talent Show and District Track Meet will continue as planned. https://harmonypublicschools.network/hsifortworth-new/wp-content/uploads/sites/96/2019/04/Weather-Alert.png 1024 1024 aarikan https://harmonypublicschools.network/hsifortworth-new/wp-content/uploads/sites/96/2019/02/logo-hsi-fortworth-white-1.png aarikan2019-04-17 13:13:262019-04-17 13:13:26Inclement Weather Notice! https://harmonypublicschools.network/hsifortworth-new/wp-content/uploads/sites/96/2019/04/Teacher.jpg 666 666 aarikan https://harmonypublicschools.network/hsifortworth-new/wp-content/uploads/sites/96/2019/02/logo-hsi-fortworth-white-1.png aarikan2019-04-17 13:04:392019-04-17 13:04:39Teacher Appreciation Week! On Tuesday April 23rd all of the juniors on our campus will take the SAT exam. Annually, thousands of students in the US and across the world take the SAT exam to gain entrance into colleges and universities. As such please make sure that your student is prompt and fully rested for this exam. 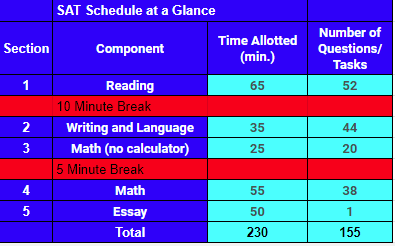 Below is a breakdown of the exam. Snacks- For this week only! For this week only snack sales will be on THURSDAY. Ice cream =$1:fudgy bars, ice cream sandwich, push pop or cone. Snacks=75 cents: lays bbq, sour cream & onion and regular chips, Doritos Flamas, Flamin’ Hot Fantastix, Rice Krispie Treat or chocolate chip cookie. Students MUST have funds in their account to buy snacks. Parents – You can add funds at schoolcafe.com or in the front office with credit or debit card or with a money order Next week sales will be back on Friday. https://harmonypublicschools.network/hsifortworth-new/wp-content/uploads/sites/96/2019/04/Snack-Sales.png 798 810 aarikan https://harmonypublicschools.network/hsifortworth-new/wp-content/uploads/sites/96/2019/02/logo-hsi-fortworth-white-1.png aarikan2019-04-17 12:56:162019-04-17 12:56:16Snacks- For this week only! We invite all parents, students, staff and other community stakeholders to attend Harmony Public Schools-DFW/Waco District Wellness Policy meeting. The meeting will be held at the district office located at 12005 Forestgate Dr. Ste 110, Dallas, TX 75243 on Wednesday, May 1, 2019 from 9:30am to 12:30pm. We will review our current District Wellness Policy (located on each campus website) and the guidelines set forth in the HPS board approved Wellness Plan (available on each campus website) in regards to nutrition education, Smart Snack Guidelines, fundraisers, exemptions, classroom parties, etc. If you are interested in joining, no RSVP is necessary and we look forward to your attendance. For questions or additional information, please contact Linda Moore at LMoore@harmonytx.org. This Saturday- Campus Beautification Day! This Saturday, April 13th is another Campus beautification day sponsored by PTO. From 9 am to 12 pm volunteer your time and bring your gardening and landscaping tools to help in the effort of making our campus beautiful. Students should bring their own gloves and water bottle. https://harmonypublicschools.network/hsifortworth-new/wp-content/uploads/sites/96/2019/04/Campust-Day.jpg 866 1024 aarikan https://harmonypublicschools.network/hsifortworth-new/wp-content/uploads/sites/96/2019/02/logo-hsi-fortworth-white-1.png aarikan2019-04-10 15:30:002019-04-10 15:30:03This Saturday- Campus Beautification Day!